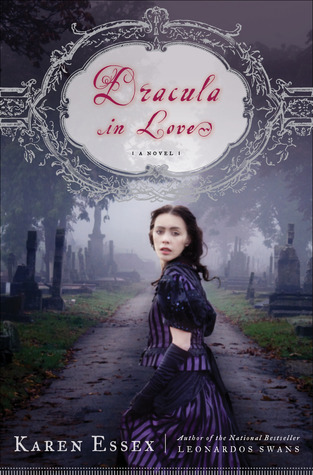 "In the magical underworld of Victorian London, Tessa Gray has at last found safety with the Shadowhunters. But that safety proves fleeting when rogue forces in the Clave plot to see her protector, Charlotte, replaced as head of the Institute. If Charlotte loses her position, Tessa will be out on the street and easy prey for the mysterious Magister, who wants to use Tessa's powers for his own dark ends. As their dangerous search for the Magister and the truth leads the friends into peril, Tessa learns that when love and lies are mixed, they can corrupt even the purest heart." The fog was thick, muffling sound and sight. Review: Wow just wow! Clare has definitely outdone herself Clockwork Prince was INTOXICATING!..Epic Page Turner... Exhilarating...well you get the picture. 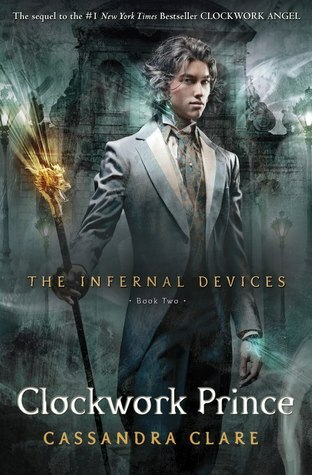 Way better than Clockwork Angel which I also gave 5 stars to. Which is why when I compare the two this book deserves much more than 5 stars, I'm seriously thinking about adding an extra rating for books that surpass the 5 star rating. Anyways on to the review of Clockwork Prince. I am torn between Jem and Will. Especially after the big revealing of Will's secret I love them both, everything makes sense about Will now. Than there is the love triangle between Jem, Tessa and Will...I am not a fan of love triangles but I am a fan of this one, if you want to talk about heartbreaking this is it. There were parts where I dreaded to turn the page because of what I knew was coming and since I love all three characters just the same it was hard to see their heart get crushed. Anyways so much happens in the lives of all the characters in this book, from Henry and Charlotte, Jessamine and Nate, and of course Will, Tessa, Jem, and then there is Sophie who plays a bigger role as well. We also see more of the Lightwood brothers Gabriel and Gideon. And of course Magnus Bane who is just awesome. I'm also still trying to emotionally collect myself after the ending of Clockwork Prince. Such heartbreak I can't believe I have to be tortured for a whole year before I can get my hands on the next book in the series. Cassandra Clare also leaves us with a major cliffhanger, one that I was not expecting at all! Overall go read it NOW! I still can't get the charcters out of my head it's like they have been weaved into my soul. Clare I have no clue how you do it but you are amazing. I hear soooo much about this series. 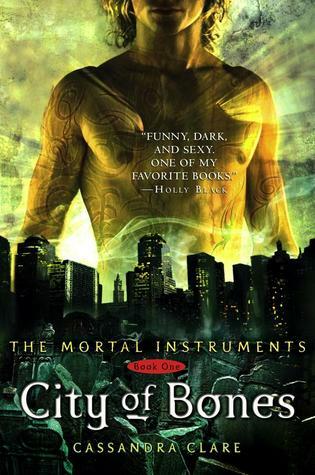 I read City of Bones about two years ago, and then got distracted by other stories and haven't gotten back to this. I think it's about time I pick up more of her books.